MILAN – Swiss retail company Valora helps to combat food waste: since the beginning of January 2019, the products still left on the shelves by evening are sold at a discount in all Caffè Spettacolo outlets. Together with the organisation Too Good To Go, this initiative has already saved some 730 kilograms of food waste. Consumers who wish to benefit from the offer of Too Good To Go just need a smartphone and an app. The app shows whether and in which Caffè Spettacolo outlet food parcels are available. These also include vegan food parcels. The customer puts in an order, pays for it via app, and collects the parcel around 45 minutes before closing time. The parcels contain items from the day’s menu and can be put together by the customer on site. The price is CHF 4.90 for a parcel containing food that is worth at least CHF 15. 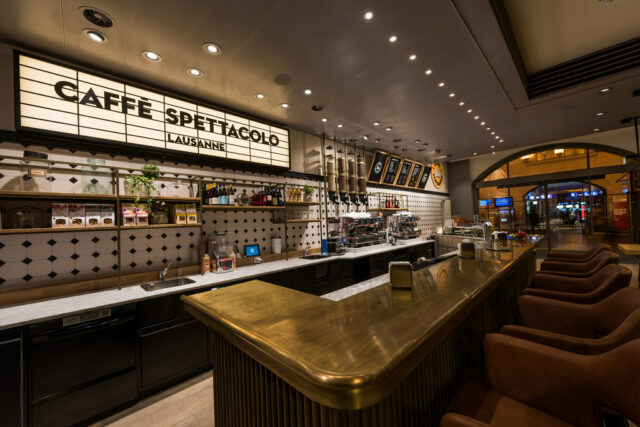 Caffè Spettacolo carried out a pilot in its coffee bars in Thun, Olten, Dietikon and Zürich Oerlikon for several weeks at the end of 2018. Because of the positive reaction, Caffè Spettacolo rolled out this service to all of its more than 30 coffee bars in Switzerland on 3 January 2019. As a rule, the products offered by Caffè Spettacolo are baked and prepared freshly throughout the day in order to avoid a surplus. Customers, however, expect a wide range of attractive products until closing time. Depending on how many people visit a coffee bar during the day, products may be left over. The point of this initiative is not to sell old goods, but to sensibly distribute products that cannot be sold the next day, but are still good to eat. In January 2019, Caffè Spettacolo supplied 1,149 food parcels containing more than one food item each, such as focaccia, open croissants or sandwiches via the Too Good To Go app. This equals 730 kilograms of food. The offer was used most often at Zurich main station and the Zurich-Oerlikon station.